President Obamas 2016 budget proposal suggests that future Roth IRA conversions be limited to pre-tax money only. President Obama’s 2016 budget proposal suggests that future Roth IRA conversions be limited to pre-tax money only. President Obama has been feeling his oats lately, taking unilateral action in a number of areas as his second term winds down to its final months. One proposal he has made is to raise tax revenue by eliminating so-called back-door Roth IRA conversions. As most planners know, married couples whose income is greater than $193,000 can’t put money into a Roth IRA and have it grow tax-free (the limit is $131,000 for single filers). But they can put money into a regular IRA via a nondeductible contribution. They can also then convert those regular IRAs to Roths and take advantage of the tax-free growth. President Obama’s 2016 budget proposal suggests that future Roth conversions be limited to pre-tax money only, effectively killing most back-door Roths. He can’t do this unilaterally without the consent of Congress, but the notion is in the air, and wise planners will alert their clients to the possible end of this tool. It’s important for clients to understand the benefits now, because if they have ever considered converting a traditional IRA to a Roth, this may be the time to do it. There have been income limits delineating who is eligible to contribute to a Roth IRAs since their inception, so wealthier Americans have never had a direct route to these vehicles. 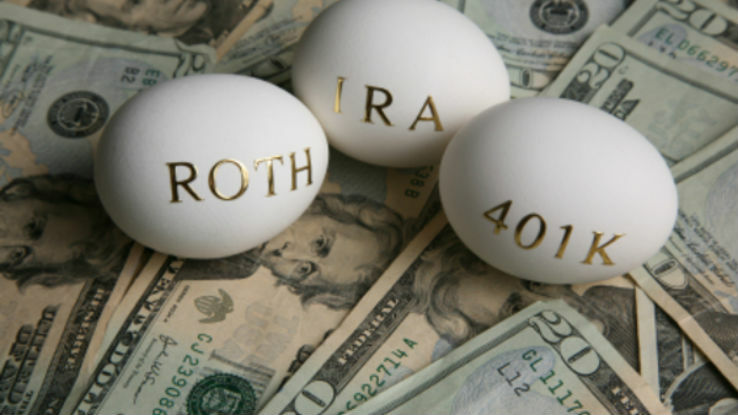 At the outset, there were also limits on who could convert a traditional IRA to a Roth, but those were eliminated in 2010. So this has only been an option for a few years — and we’ll see how long it lasts. Roths are certainly a great option for estate planning. Perhaps most simply and importantly, Roth can be included in an estate and passed on to the client’s heirs after the client dies, unlike a traditional IRA or a 401(k) account. That means the client can treat it like any other asset for estate planning purposes. The people inheriting the Roth can cash it out without any penalties, or they can roll it into their own Roth. In most cases, if the heirs don’t roll over the Roth, the assets must be either be distributed within five years of the client’s death or paid out as an annuity over the beneficiary’s life. That makes the designation of beneficiaries for a Roth IRA to be a crucial decision that should be frequently revisited. In addition to the assets, the heirs also receive the same tax advantages the client received. When money from a Roth IRA passes to beneficiaries, they receive it tax-free, just as the client would have if he or she has cashed it out for their retirement. One other key aspect of a Roth: It does not have to go through probate. The client’s heirs will definitely appreciate dodging that bullet. But the Roth conversion process has never been completely clean. Converting an IRA from a traditional to a Roth is a taxable event, so the client may have to pay taxes on the conversion. The client will owe taxes just on the gains that were earned before the conversion, since the money put into the traditional IRA was taxed as normal income. If the value of the IRA at conversion is the same as the value of the client’s contribution, he or she won’t owe any tax on it. One other caveat that clients should be aware of: Rollovers from traditional to Roth IRAs are done on a pro-rata basis. Only non-deductible assets are eligible to be put into a Roth, but the amount will be taken proportionally from all IRA assets. So if the client has $100,000 in deductible contributions and makes $100,000 in non-deductible contributions in order to immediately roll it over to a Roth, the conversion will actually consist of half deductible and half non-deductible assets, or $50,000 from each basket of contributions. The possibility of high-income individuals losing this particular benefit is a good opportunity to have a conversation about whether a Roth IRA might be right for them. Whether the back-door Roth goes away or not, clients always appreciate having all their options — and where they might be headed in the future — laid out in front of them. Forewarned is forearmed.